Traditionally American automotive manufacturers would make changes to the cars every model year. These changes almost always included a change to the grille area. 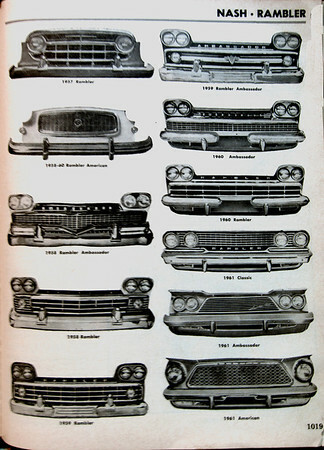 Motors Repair Manual would use pictures of the grille area to help their readers identify which year and model they were working on. With three older brothers working on their cars, there was always a copy of Motor's Repair Manual handy for me to read. I used to spend hours studying the pictures of the different grilles so I could identify each different model year. The Low Sky Series is my homage to the people at Motors Repair Manual for the pleasure they provided me so many years ago.